When you entered your home, where do you keep your shoes? Is there any particular place to keep essential daily kinds of stuff like shoes and household item? Well, if you think people generally don’t care about that, it is not true. Home decoration is an important thing nowadays. Therefore, you need the best shoe racks and organizers to keep all those items in one place. There are few shoe racks in the market which are very much popular among customers. 3-Tier Resin Slat Utility Shoe Rack is needed where you have to place more shoes. Assembling the rack is very much easy. Just snap all the shelves. Then frame together. Your shoe rack is ready. Why should people buy it? A shoe rack is an essential item for daily usage nowadays Generally, people throw their shoes in any corner of the house. A shoe rack keeps all those shoes together, and it also looks good to see them in a good manner. Doesn’t require any tool to assembly the total rack. There is screw-in for leveling in the uneven surface for perfect fitting. Can be placed in the bedroom, kitchen, hallway or the garage where you can place necessary stuff in a rack and find them easily. The rack is narrow for keeping big shoes over size 12. 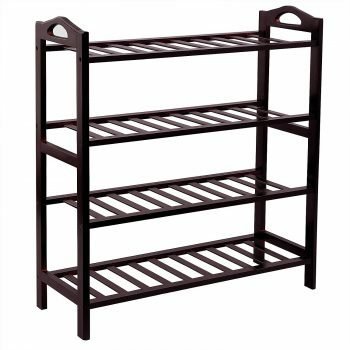 As shoe racks and organizers, Dayton Storage Hall Bench is one the most popular racks in the market for its elegant and dynamic style. It is a useful item for the entryway side organizer for the shoes. There are several features in the shoe rack. The shoe rack is constructed of solid wood. There are three racks to put all your shoes. Size of the rack is 40 inches in length, 14.2 inches in width and 22 inches in height. It can carry weight up to 200 lbs. When you are ready to put on your shoe, you can sit on the seating surface of it. The rack can be used for a different purpose as a shelf when it required. A rack will show organized item and it will be easy to find your items again. It includes a sitting surface where you can sit. Big in size to keep a bunch of shoes. The rack is hardwood making and builds in strength. There is no screw-in for leveling, but if put together properly there should not be any problems. It is made with American products, and the Company always liable to provide the best service to their client. As shoe storage, it is very much strong fitted and well furnished. This shoe storage is made of wood and metal finished. The dimension of the rack is 31.5(L) X 11.8(W) X 17.7(H) in inches. It has a sitting area which is made of high-quality foams and cotton padded. The bench is cozy and sturdy to sit on. A multi-purpose shoe is always required in the home, where it can be placed anywhere in the house and ready for use. This rack has a hidden storage place where you can put blankets, unused stuff. This multi-function rack is a very suitable item for keeping in places like a bedroom, entrance hall, children’s hall etc. The rack can take weight up to 200 lbs. There is a place for keeping high heel or boots. The sitting cover is very much easy to clean and clear. There is no adjustment item to fit on the uneven slide floor. 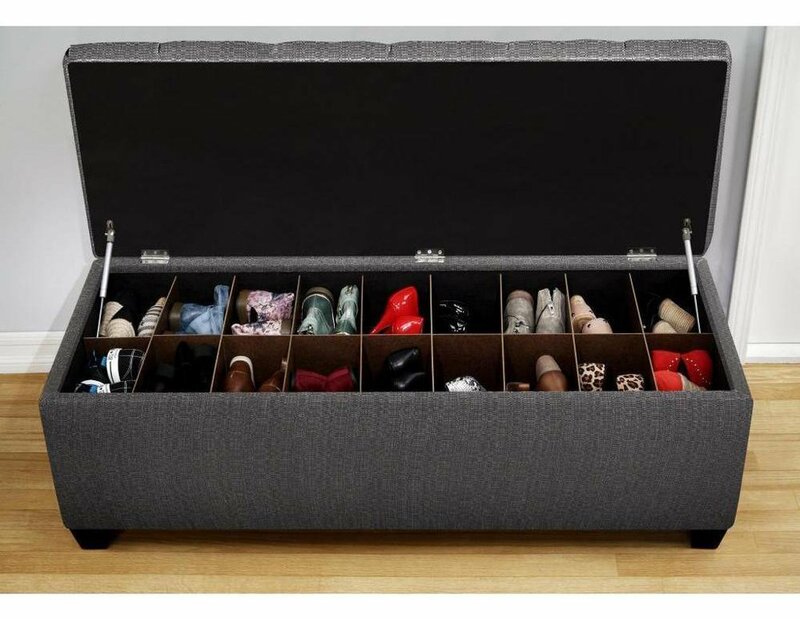 A True Innovation for Home Shoe Storage – Features Built-In Removable Dividers That Create Ample Shoe Slots for Up To Men’s Size 12 or Women’s Size 14 Shoes. Easily Remove the Wooden Dividers to Create A Great Blanket and Bedding Chest. Why would people buy it? Proudly Built and Upholstered in the USA with Only Premium Fabric, Foam and Hardwood. Features 10 Hand-stitched Top Button Tufting and Easy Lift Hydraulics to Make Opening and Closing A Breeze. 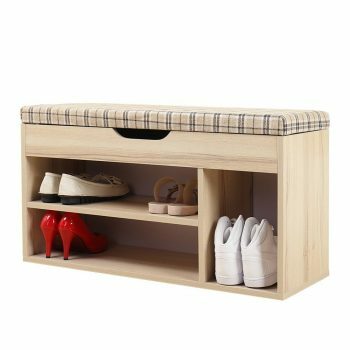 54″ x 18″ x 20″ Inches Provide Ample Storage Space for Shoes, Bags Or Any Other Clutter You May Have. 18 Individual Shoe Slot Divider Is Built of High-Quality Durable Wood – Entire Bench Weighs Only 48 lbs – Seating Capacity of Up to 300 lbs. Available in Multiple Colors and Patterns – Arrives Almost Fully Assembled – So Can Put It To Work Right Away. 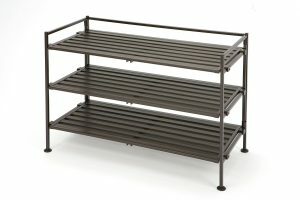 TomCare 10 Tier Shoe Rack is one of the best shoe racks among its variety. You can place plenty of shoes on that single rack. If you talk about durability, it shows the best in its class. 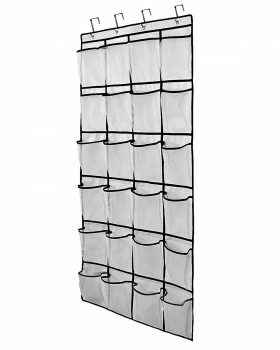 This shoe rack is constructed of non-woven fabric and high-quality plastic. The rack material made it flexible, moisture-proof, breathable, lightweight to carry all item. The dimension of this rack is 39.37 (L) X 11.41 (W) X 68.89 (H) inches. If you need to place a lot of shoes, then this is the perfect product. Not only shoes but also you can use it for multi-purpose. In the house, you can keep your bags, daily stuff, and multiple items on the rack. Made of high-quality, durable material. Bamboo 4-Tier Shoe Rack is popular for its iconic design and features. This rack increases the show of your place by its decorated looks. To keep your shoes and items organized, this rack is the best. The total rack is made of bamboo which enlarges the beauty of the room. It has 4 racks to put items on. The dimension of this 4-Tier rack is 26.4 inches (Length) X 10.25 inches (Width) X 29.5 inches (Height). You can keep your bags on the rack. If you have small home plants, you can keep them on it as well. In the bathroom, the toiletries and towel can be put on the rack easily as well. Toy basket, cloth basket, and all your stuff can be easily put on the rack. There are tools to assemble the entire rack easily. Can be used in multipurpose usage rather the shoe keeper. Well furnished with rounded corner to keep safe. It needed to be painted after a few years. 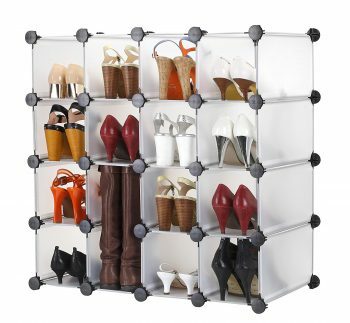 This is made of 10 compartmental shoe racks and excellent design for the different shoes and closets in one place. You can put small stuff like shocks, belts and much more in the mesh pockets. It is narrow in shapes and dimension of 5 (L) X 11.5 (W) X 52(H) inches which look like pockets and designed with black trimmings. The breathable rack is made of polypropylene, and it contains 5 holes in a side, and it has two sides to keep the items. It also contains 5 hanger pockets on either side (3.75 X 11 X 3.5) inches. There is a lot of utility on the racks. Shoes like flats, high heels, sneakers, slippers, loafers can be organized in the rack easily. It has swivel hangers made of stainless steel which can rotate 360 degrees. So, keeping your items organized is very easy on this stylish rack. It is simple and unique in design. You can make it any shape as per your choice. The rack is box-shaped and very much easy to construct. The racks are adjustable and sturdy storage self. The frame of the rack is made of metal, and the body is white and transparent. The dimension of each storage is 6.7 (H) X 6.7 (W) X 14.1 (D) inches. It has a total of 16 storage compartments. The body of the rack is flexible and hard plastic made. First of all, people will love to have it in their place after seeing its stunning design. Anyone can assemble it easily. From shoes to household items, you can keep all your things in one place. You can assemble it easily in your home. Can make it into any shape and size to keep items. Total functional organizer to keep in your house. Can’t take much weight because the body is made of plastic. If you need a fast storage solution, then the door shoe organizer is the best for you. There’s a lot of benefits using this organizer in your home. This door organizer has large 24 pockets in it. The total shape of the organizer is 58.5 (H) X 23(W) inches, and each pocket is 5 (W) X 7.8 (H) inches in size. It has 4 metal hooks on the top of the organizer, and the pocket is transparent polyester made which is eco-friendly. This door shoe racks and organizers is the best in its class. The transparent pockets can hold a lot of stuff like bathroom accessories, toys, hat, cleaning items, craft items, essential items, jewelry items, small cloths, shocks, undergarments, belt, pantry items etc. so, as a multifunctioning item, it is beneficial. It is very much easy to install it anywhere. Easy to find items in the transparent body. Can’t keep large shoes because there is no hard space to keep them. If you don’t have floor place to keep a rack, then you can choose this over the door shoe racks and organizers. It is convenient to use on any door and wall. Where there is a wall or door, you can mount the organizer in that place. It doesn’t require floor space. It comes in two colors white and beige. There are 2 hooks to keep the shoe rack solid on the surface. The hooks are made of sturdy metal. The dimension of the rack is 36″ Hx13″ W x 3.5″ D.
The main reason for buying this shoe organizer, it is compact and it is also perfect for storing kids toys, baby diapers, and accessories. The shoe does not slip from the rack as well as the shoes are stored in an organized manner. People who are conscious of space management can choose this item. If you are concern about your shoes only, then you can choose this rack for your usage. This resin designed rack is very much popular in the market for its durability. The dimension of the shoe rack is 7.5 (L) X 22.63 (W) X 25.15 (H) inches, and it is white colored shoe rack looks fabulous in the home. The rack can hold 24 pairs of shoes at a time. The stainless steel rack can be folded to keep taller shoes. This is the best solution for you if you have a space problem. You can hang it on any door and wall. It can be assembled easily because there is no need for tools. Easy solution for space management. Can create a problem in closing doors if the door closes too tight. So, as a buyer, you have to keep in mind that the shoe racks and organizers are essential items for you. 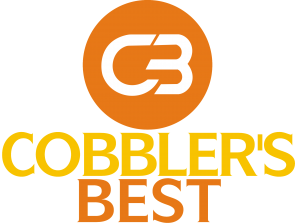 Now, it is your responsibility to choose any of them properly as per your requirement. Prices of the racks are within your budget. Now, start your review and choose the proper one.